The competition is open to residents of the United Kingdom aged 16 years or over except employees of Active Connections ltd and their close relatives and anyone otherwise connected with the organisation or judging of the competition. Route to entry for the competition and details of how to enter are via Facebook and our special offer page. 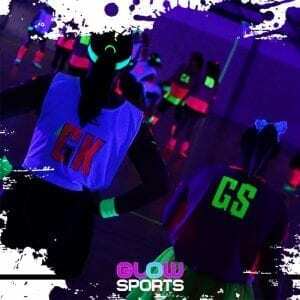 Please tag your local sport or leisure facility and state why you would like to see GlowSports there. You need to share and like the post for your vote to count. Entries can be submitted by anyone including staff of the business. Business can also enter themselves on our special offer page. After this has taken place those business with the most number of tags and those who have nominated themselves will be put forward to a public vote via Facebook. Before this can happen any business nominated via Facebook will need to provide consent for this to happen as well as agreeing in principle to the terms of being a GlowSports licencee. 10. Active Connections Ltd reserves the right to cancel or amend the competition and these terms and conditions without notice in the event of a catastrophe, war, civil or military disturbance, act of God or any actual or anticipated breach of any applicable law or regulation or any other event outside of the promoter’s control. 11. Any changes to the competition will be notified to entrants as soon as possible by the promoter.The businesses that are put through to the public vote must agree in principle to abide by the terms and conditions set out for licencees. 12. The prize is as follows: A geographical licence for GlowSports for an area defined by Active Connections Ltd for the sole use of the winning business or businesses. 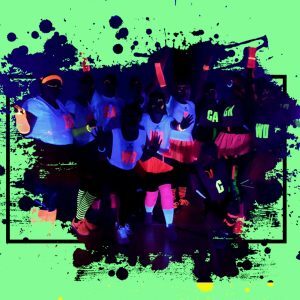 The winner, and all entering the competition MUST be able to deliver GlowSports bookings for birthday parties, corporate events and Stag/Hen activities. 15. The promoter will notify the winner when the licence will start and equipment delivered. The winner or winners will also have to attaned a free training day before the start of their licence. 17. By entering this competition, an entrant is indicating his/her agreement to be bound by these terms and conditions. Before the second round of voting the business nominate must also agree to be bound by these terms and conditions. 22. This promotion is in no way sponsored, endorsed or administered by, or associated with, Facebook, Twitter or any other Social Network. You are providing your information to Active Connections Ltd and not to any other party.